Interim Management is the provision of senior executives to manage change or transition on a short term basis. The concept is prevalent in mature economies and is upcoming in India. More and more professionals today are open to exploring short-term high level engagements rather than committing themselves to one organization. 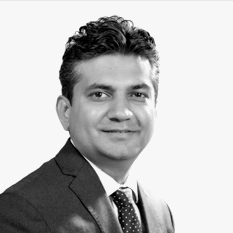 Vaibhav Gaaydhani heads the Infrastructure Practice. Vaibhav has delivered on mandates mostly in the Industrial / Manufacturing / Automotive / Infrastructure domain but a few also in Consumer, Not-for-Profit, Pharma and Technology sectors. Typical searches concluded include Managing Directors, CEO's, Business Heads, Functional Heads and Country / Regional Heads. Vaibhav Gaaydhani heads the Infrastructure Practice. Vaibhav has delivered on mandates mostly in the Industrial / Manufacturing / Automotive / Infrastructure domain but a few also in Consumer, Not-for-Profit, Pharma and Technology sectors. Typical searches concluded include Managing Directors, CEO’s, Business Heads, Functional Heads and Country / Regional Heads. His earlier responsibilities within ABC Consultants include managing business in defined industry verticals. Before joining ABC, he has worked in Operations, Product Management & Sales functions with Sandvik Group, Saint-Gobain Abrasives and Philips India. Vaibhav is a graduate in Mechanical Engineering and an MBA from SIBM, Pune. He can be reached at +91-20-49134200. An alumni of the XLRI School of Business, Jamshedpur, Sue Ann has 17 years of experience which spans across the media, internet and HR recruitment industry. At ABC Consultants, she looks after Value Added Services and works out of Mumbai. The portfolio includes Outplacement, Independent Reference Checks, Recruiter Training Programs, Compensation Benchmarking, Talent Mapping, Transition Coaching and Diversity and Inclusion Management Services. Prior to ABC Consultants, Sue Ann spent 5 years at First Advantage, a global leader in background screening, where she launched and ran the Consumer and Small Business arm as well as the Screening for Leadership product. During her tenure at IndiaParenting – India’s largest parenting portal – she launched YippieClubs, India’s first issues and interest based social networking site for parents. 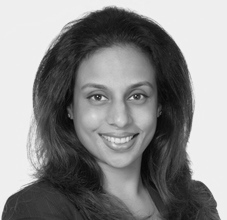 Sue Ann also spent 7 years at Nimbus Communications where she was part of the Corporate team and was involved in acquisitions/deals in excess of US$ 1500 mn and fund raising activity to the tune of US$150 mn. Sue Ann holds a Professional Diploma in Digital Marketing from NIIT, where she then spent 2 years teaching the subject as Faculty. She is a member and mentor at Take Charge, a not-for-profit mentorship program for the youth, an area she is deeply passionate about.